Interesting scoreline from 'up north' yesterday. FA County Youth Cup Semi Final. All the Manchester squad were selected from Salford City FC. Nothing in the rules to stop selection coming from one club. Standby for a rule change next season. 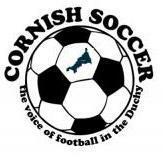 As for the Cornwall victory at Coach Road, well deserved, could have been more had we converted our chances especially in the second half, Cornwall played some great football at times, nice to be playing again after such a long break. Cornwall beating Devon. @Elephantwhere are you?! Venues hmm St Blazey and/or Helston. Berks & Bucks 2 - 1 Gloucestershire. The month of March could be very interesting!